Featured 1972 Plymouth Cars And Trucks - Section contains a collection of featured 1972 Plymouth vehicles submitted by visitors of Plymouth Zone. Own A 1972 Plymouth? 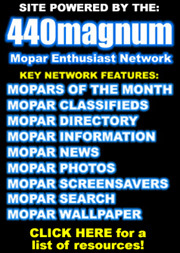 We are looking for 1972 Plymouths to add to this section. Use the submit your Plymouth link above to have yours featured or updated! Barracuda - 2 Door Hardtop. Cuda - 2 Door Hardtop. Duster - 2 Door Sport Coupe. Fury I - 4 Door Sedan. Fury II - 2 Door Hardtop, 4 Door Sedan. Fury III - 2 Door Hardtop, 4 Door Hardtop, 4 Door Sedan. Gran Fury - 2 Door Hardtop, 4 Door Hardtop. Gran Fury Formal - 2 Door Hardtop. Regent - 4 Door Station Wagon 6 Passenger, 4 Door Station Wagon 9 Passenger. Road Runner - 2 Door Hardtop. Satellite - 2 Door Coupe, 4 Door Sedan, 4 Door Station Wagon. Satellite Custom - 4 Door Sedan, 4 Door Station Wagon 6 Passenger, 4 Door Station Wagon 9 Passenger. Satellite Sebring - 2 Door Hardtop. Satellite Sebring Plus - 2 Door Hardtop. Scamp - 2 Door Hardtop. Suburban Custom - 4 Door Station Wagon 6 Passenger, 4 Door Station Wagon 9 Passenger. Suburban Sport - 4 Door Station Wagon 6 Passenger, 4 Door Station Wagon 9 Passenger. Valiant - 4 Door Sedan. Own a Plymouth car or truck? We are always looking for Plymouth vehicles to add to this site. To participate you must own a Plymouth of some kind. It can be your daily driver, your current project... It does not matter WE WILL POST IT! Plus your ride will also be featured in next months Mopars Of The Month. Submit Or Update Your Plymouth!